Obverse die 21 is differentiated in the doubling of the digits 18-1. The first 1 is doubled at the top right of the lower crossbar, and slightly on the right side of the vertical bar. The first 8 is slightly doubled at the top left inside of the upper loop, and on the surface on the right outside of the upper loop, and on the lower right outside of the lower loop. The right 1 has a broken doubling running diagonally across the bottom left side of the vertical shaft to the center of the base. This is possibly due to a defective date digit punch. Obverse Die 21 appears only with VAM 32. 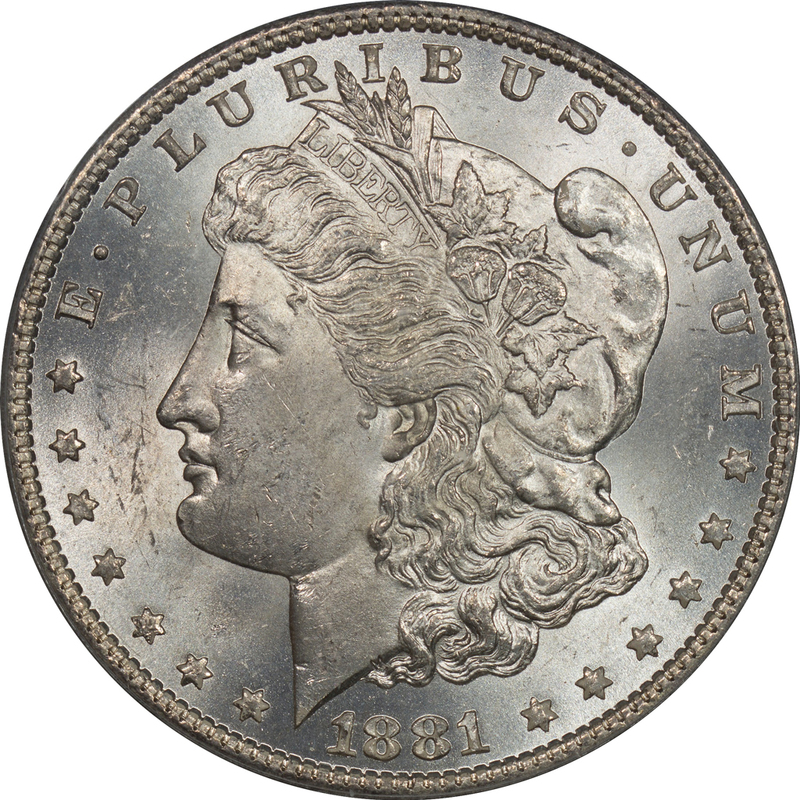 Obverse Die 21 is not rare and we have eight examples ranging from AU 55 to MS 65. So we have quite a wide range of grades in which to examine coins for die cracks. None of the examples in our collection exhibit any signs of die cracks or breaks.